… is my latest excuse. So is dealing with small children and a partner in graduate school. And a full time job, and a messy house, and two large loud dogs, and and and…. I will get better. Spilling my guts is cathartic, and Lord knows I could use some catharsis every once in a while. 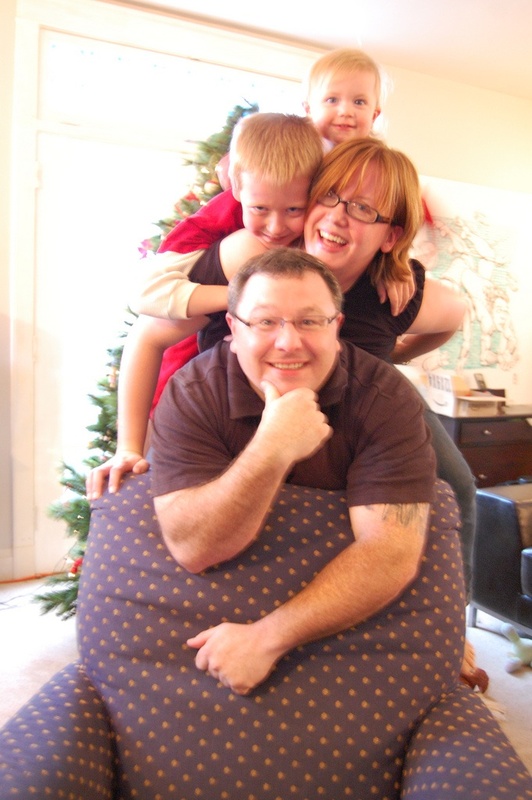 In the meantime, here’s our family pileup for our holiday cards. How’d miss poopypants get up there? This entry was posted in completely unrelated to chocolate, the chaos of family and tagged big d, catharsis, excuses, holiday card, little d, merry christmas, miss poopypants, pileup. Bookmark the permalink.